This April HBO's television adaptation of Michael Crichton's A.I. 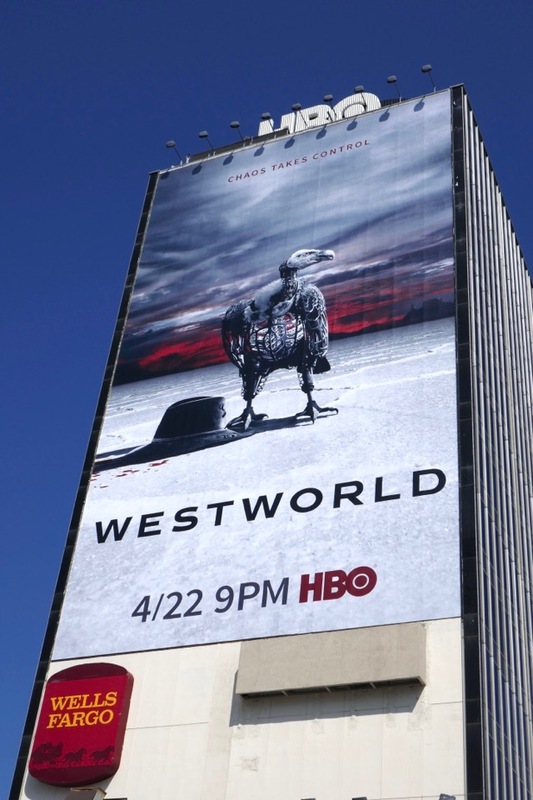 sci-fi drama, Westworld, comes back online with just a few upgrades. 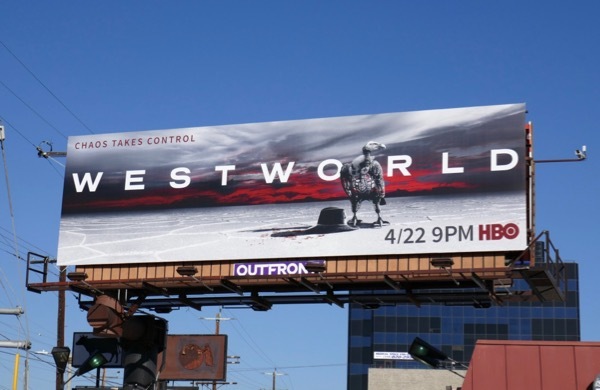 Last season we were introduced to a Wild West-themed amusement park where high-paying guests were able to live out their fantasies with the help of android hosts, some of them subjected to untold horrors and deaths, with their memories wiped over and over again. In the season finale Anthony Hopkins park founder, 'Dr. Robert Ford', unshackled the hosts from their behavioral restraints and helped them gain awareness of their existence, freeing the likes of Evan Rachel Woods 'Dolores', Thandie Newton's 'Maeve', James Marsden's 'Teddy' and Jeffrey Wright's 'Bernard'. The hosts turned again their human oppressors and started killing the board of Delos Incorporated, the park's shadowy owners. So what happens next after this uprising and will we get to visit other worlds, like Shogun World and find out where these parks are actually located, and will dangling plot threads be resolved? 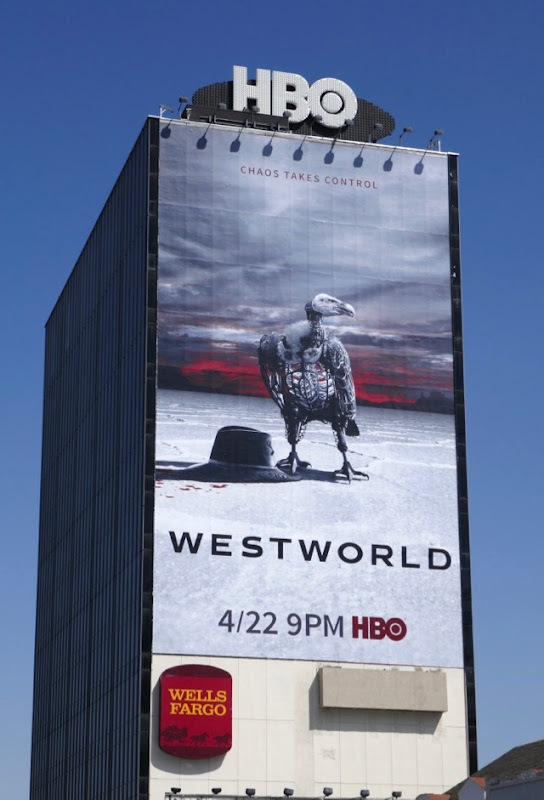 These atmospheric sophomore season billboards, featuring a partially 3D printed android vulture next to Ed Harris' bloody 'Man in Black' cowboy hat, were photographed along the Sunset Strip and La Cienega Boulevard from March 28 to April 4, 2018. 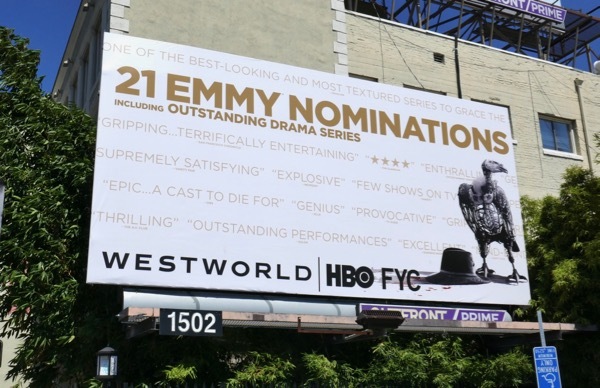 Fans of the sci-fi series can also enjoy all these Westworld season one and awards consideration billboards. 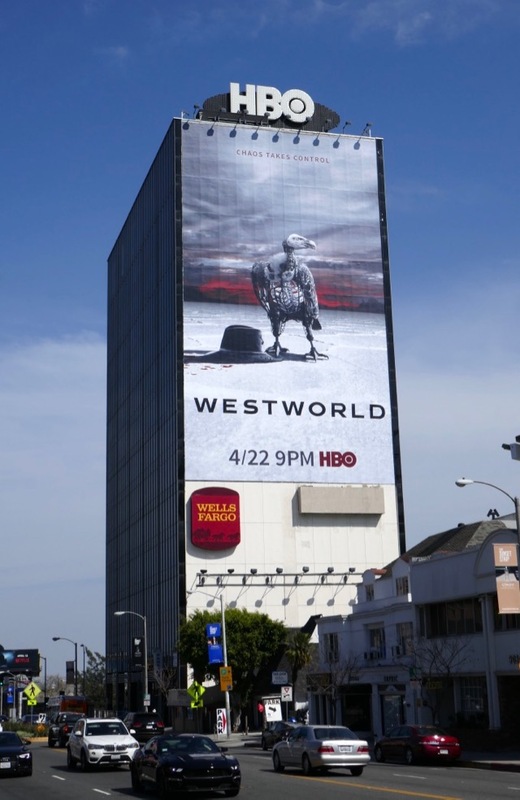 The inaugural season of Westworld garnered twenty-two Emmy nominations and took home five in total, but can the series deliver new mysteries and thrills to be explored with these ten all-new episodes and will the hosts really rise above their programming and control their own destinies. It looks like it's time to write a new narrative as 'Chaos takes control'. 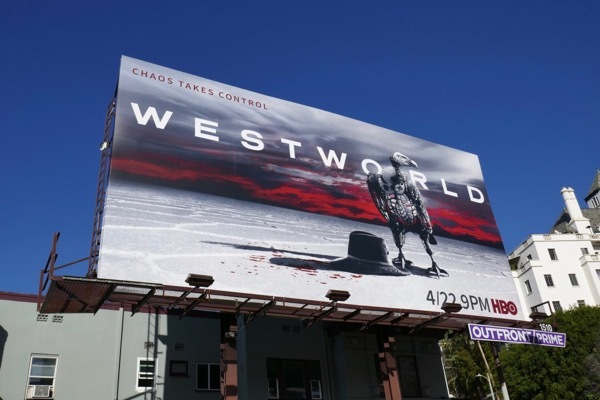 UPDATED: Westworld scored twenty-two nominations and took home five Emmys for its debut season, but can the sophomore season live up to this? 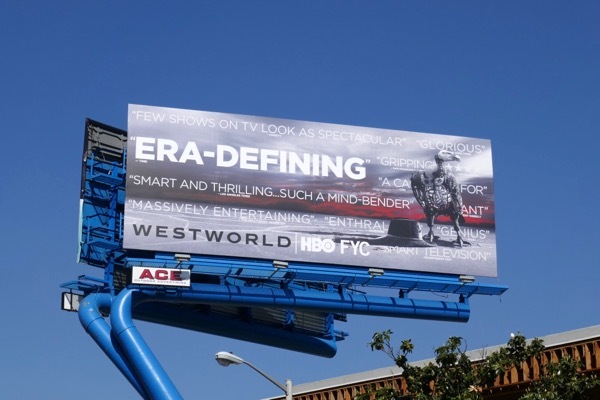 Maybe this Emmy consideration billboard for the second season spotted along Bundy Drive on May 28, 2018, will help garner Emmy voters attention. 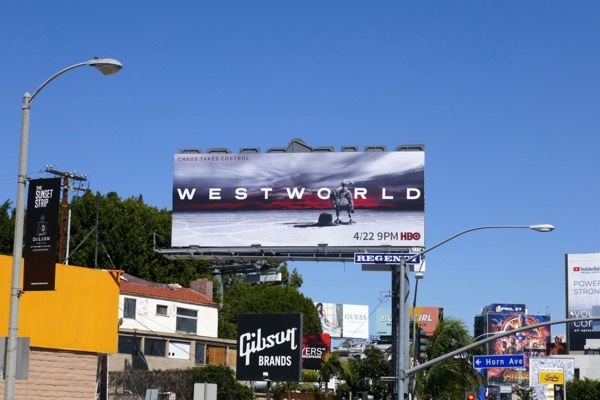 And here's another billboard example snapped above West Hollywood's Sunset Strip on June 1, 2018. 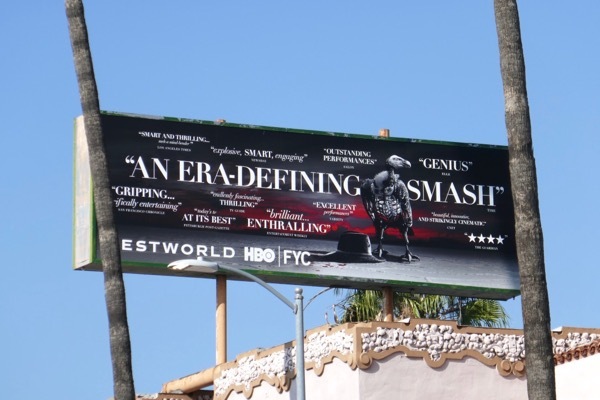 Plus here's a giant-sized Emmy FYC version snapped along the Sunset Strip on June 20, 2018. 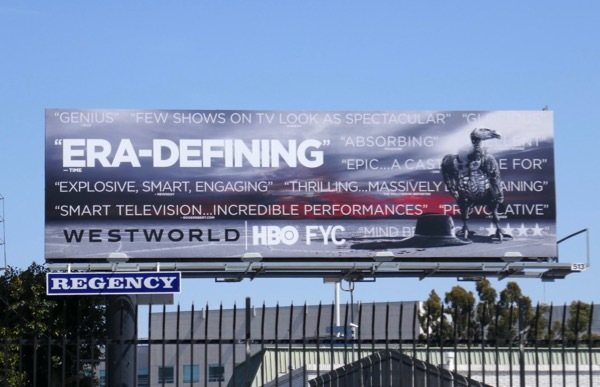 UPDATED: Congratulations to Westworld for garnering twenty-one Emmy nominations for its sophomore season. 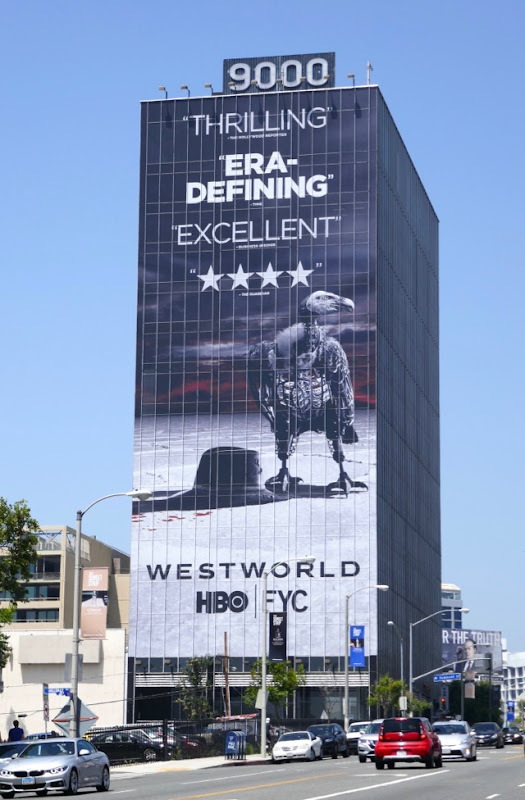 This Emmy nominee billboard hoping to catch TV Academy voters eyes was spotted along the Sunset Strip on August 14, 2018. 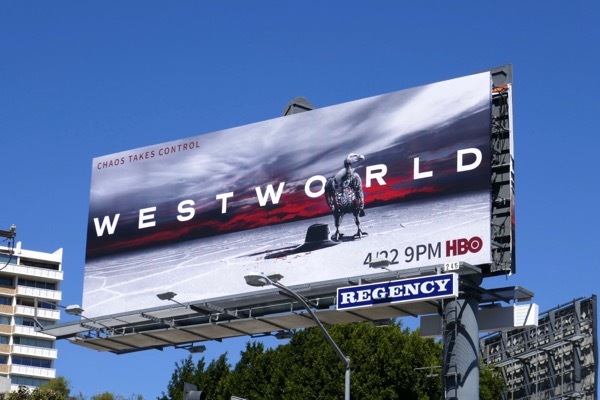 Plus here's another billboard example snapped westbound along Sunset Boulevard on August 23, 2018. 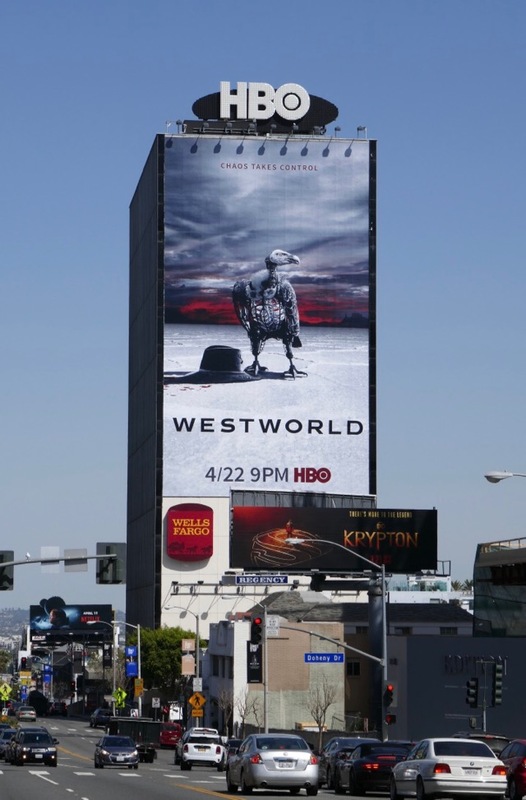 UPDATED: Congratulations to Westworld for its four Emmy wins, including the Outstanding Supporting Actress Emmy for Thandie Newton. 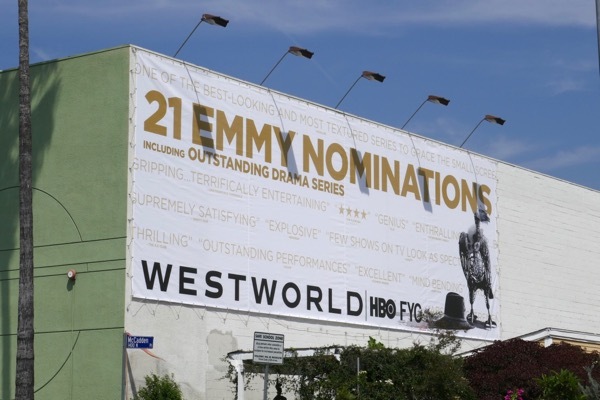 Let's see if this FYC billboard spied above Hollywood's Sunset Boulevard on November 24, 2018, will help the sophomore show nab some Golden Globes or SAG Award nominations this winter awards season.